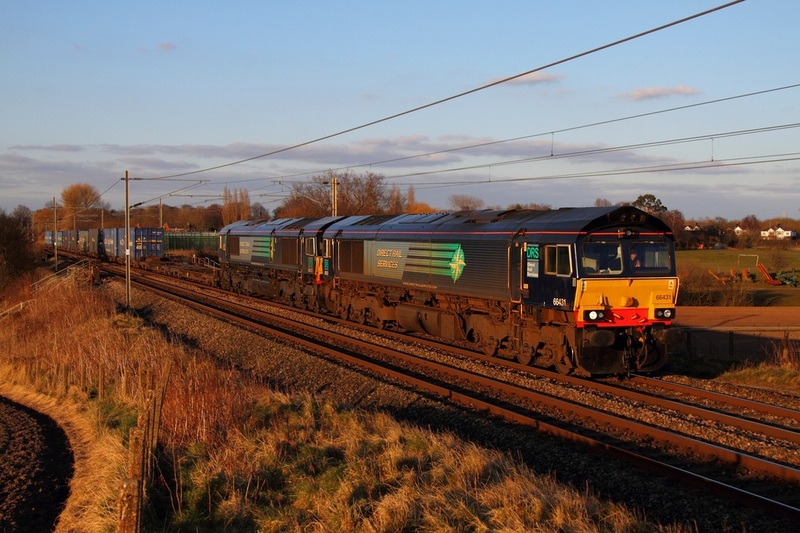 ​66301 on the 4V38 Daventry to Wentloog at Woolaston on the 13th March 2016. 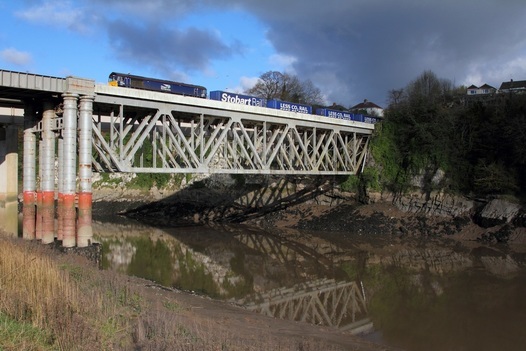 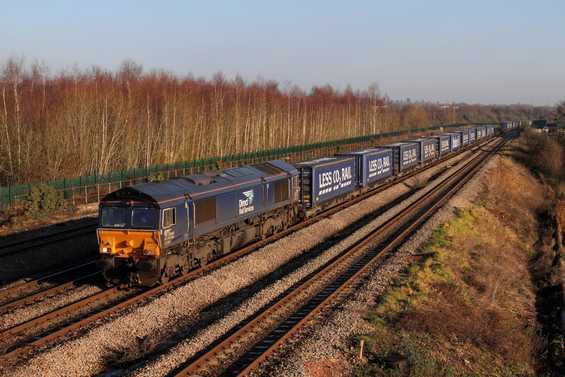 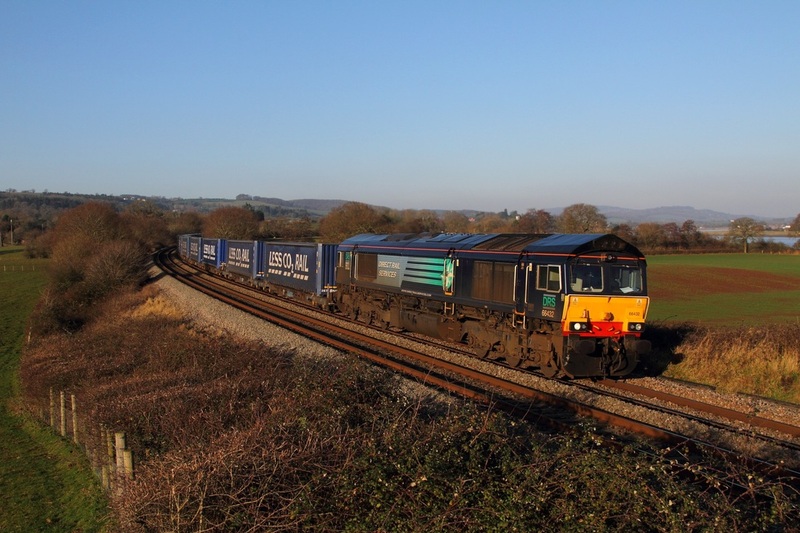 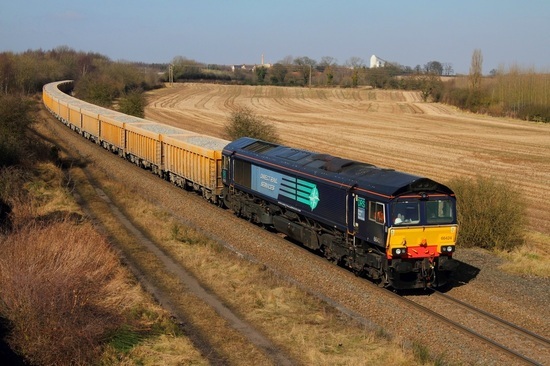 66421 on the 4V38 Daventry to Wentloog at Chepstow on the 22nd November 2015. 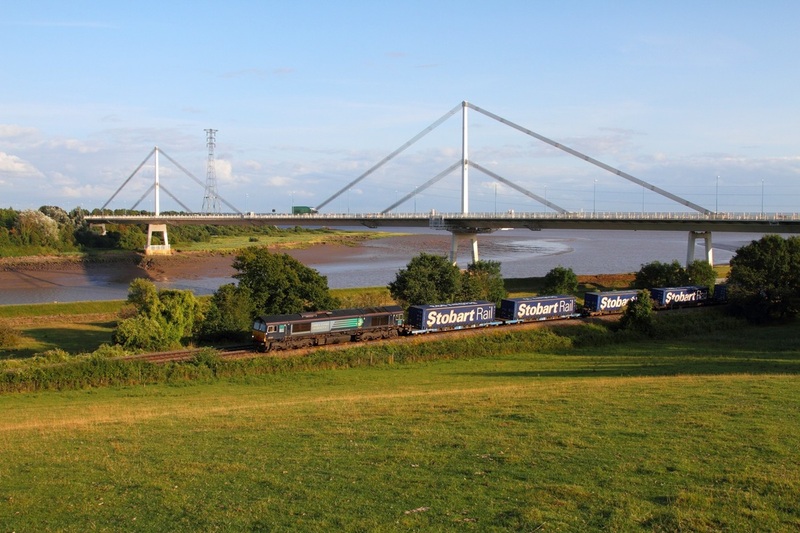 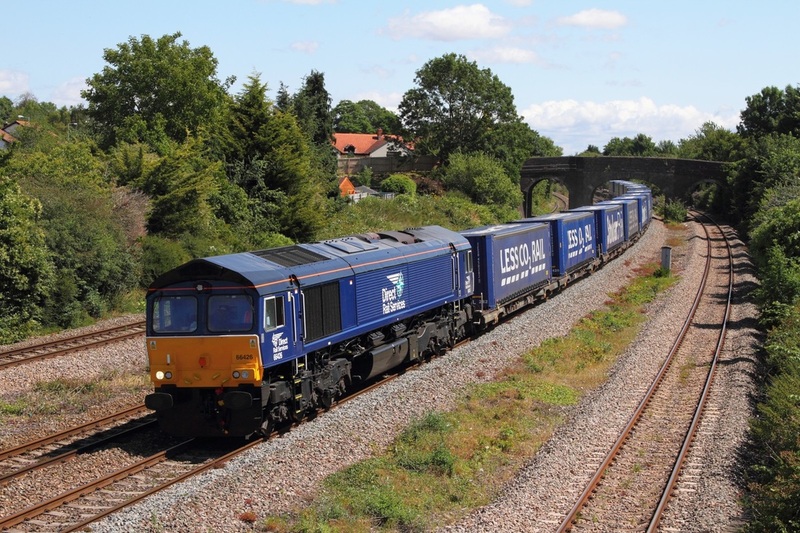 DRS 66426 hauls the 4V38 Daventry to Wentloog at Magor on the 19th July 2015. DRS 66424 departs away from Stud Farm running about 45 minutes late at Bagworth powering the colossal 6L76 Stud Farm to Whitemoor loaded stone wagons on the 2nd March 2013. 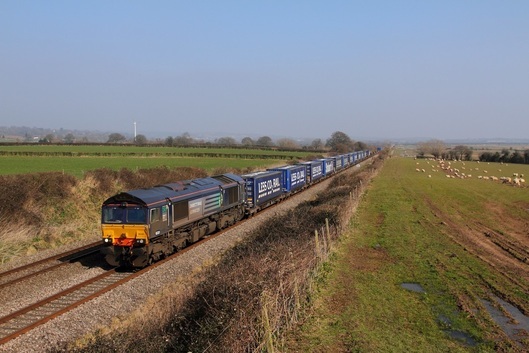 Unlike the weekday diagram, the Saturday diagram is operated by DRS as opposed to GBRF. 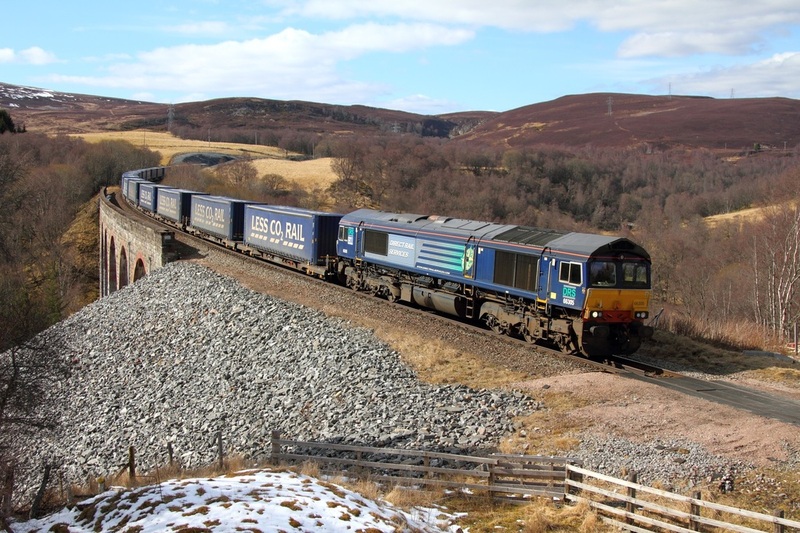 DRS 66305 powers the 4D47 Inverness to Mossend tesco express at Slochd on the 30th March 2013. 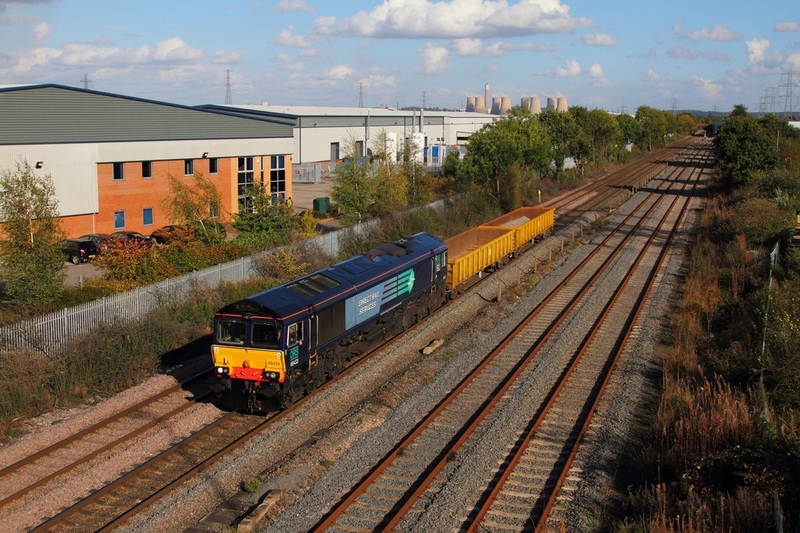 GBRf hire-in DRS' 66433 leads the 6K50 Toton to Crewe Basford Hall engineers at Castle Donnington on the 10th October 2014.